Embattled Customs Commissioner Nicanor Faeldon replied to Sen. Antonio Trillanes IV’s tirade against him; saying he will die defending Pres. Rodrigo Duterte from critics like him. “I will die protecting Pres. Duterte against people like you, Sen. Trillanes,” read his post in his Facebook account. Trillanes, one of Duterte’s foremost critics, had earlier alluded to a “powerful protector” who allowed the shipment of P6.4-B worth of drugs through the BOC. He also blasted the president, accusing him of keeping quiet over the shipment while continuing to growl at his critics. “President Duterte says he is mad at drugs to the point of lambasting those who criticize him. But in the case of the P6 billion-worth of shabu, as Cong. Alejano would put it, he seems speechless,” he said. As for Faeldon, Trillanes said his fellow participant in the 2003 Oakwood mutiny 2007 Manila Peninsula siege should stop malingering and submit himself to the congressional inquiry on the drug shipment. 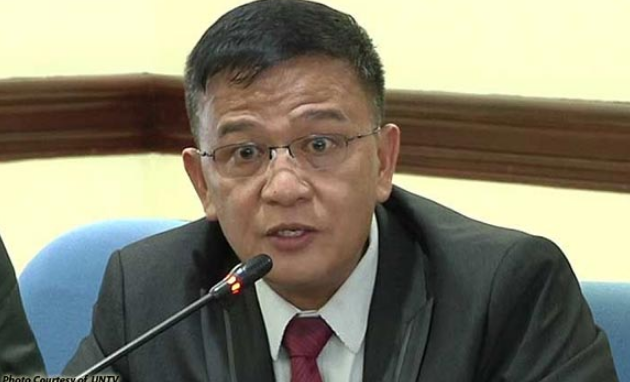 “As of Faeldon, I have enough information to say that he is at the heart of this controversy. And once he is done malingering, I hope he musters enough courage to face the grilling of the senators and congressmen,’’ he said. Faeldon earlier begged off from attending the inquiry after suffering a heart attack while undergoing dental work. His physician said while he was now out of danger, he has to rest until Monday next week. “Faeldon could be discharged from the hospital today, but should rest as per physician until Monday. Per doc, he had chest pains, high BP etc. but now very stable,” House of Representatives Sergeant-at-Arms Ronald Detabali told the legislators after visiting the Customs chief.